This website owned and operated by Rush Cole. Photos of Rush Cole by Herschel Mair. From salmon fishing in the Aleutian Islands and teaching art for the University of Alaska, to riding the range and gathering cattle on northern New Mexico’s sprawling ranches, Rush Cole lives what she paints. Proficient in graphite, colored pencil, pen & ink, pastel, watercolor, acrylics, and oil, Cole’s art has been included in juried national exhibits from New York City to Los Angeles. 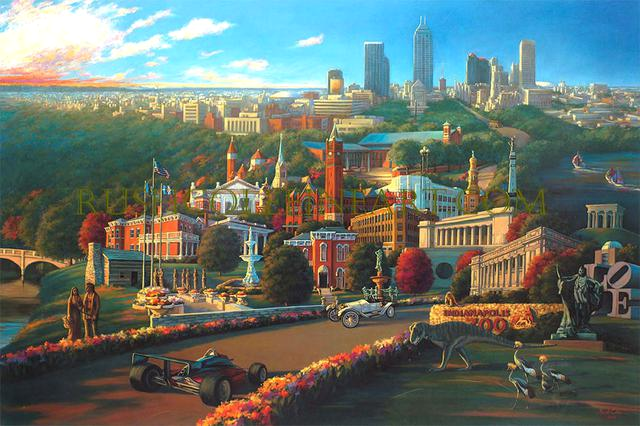 Her awards are numerous, including “Best Of Show” in the National Watercolor Society. 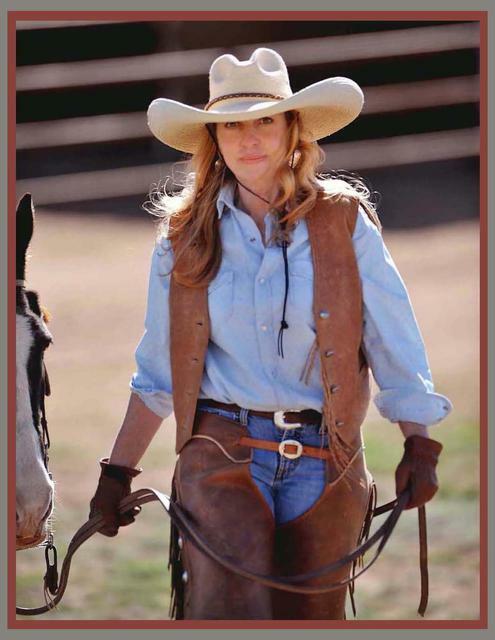 A life-long horsewoman, Cole rides the same lands that the pioneers, cowgirls, cowboys, and American Indians did in the legendary Wild West. Horses of all breeds and kinds are a major focus in her art. 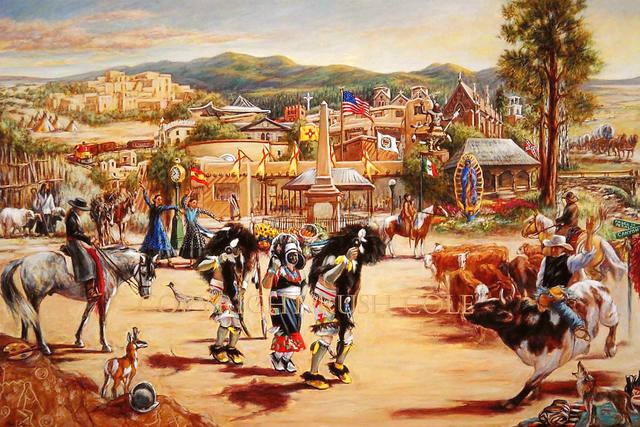 Rodeos, roundups, trail riding, and ceremonial Pueblo Dances are also an important part of life for the artist; her personal experiences with the colorful cultures of the American West are evident in her compelling artwork. 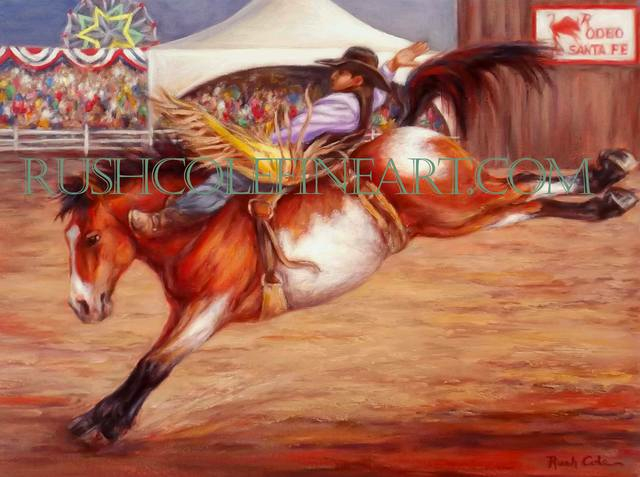 The magnificent Spanish Horse is the subject of several series of paintings by Rush Cole. “ORIGINS: Past & Future” portrays world-class P.R.E. (Pura Raza Espanola) against backdrops of prehistoric cave art from France and northern Spain. “Kings Of Spain” depicts purebred Spanish stallions with backgrounds of gold and silver leaf. 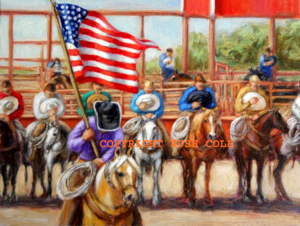 More recent additions to Cole's "ORIGINS" Series include American Bison and Texas Longhorn. 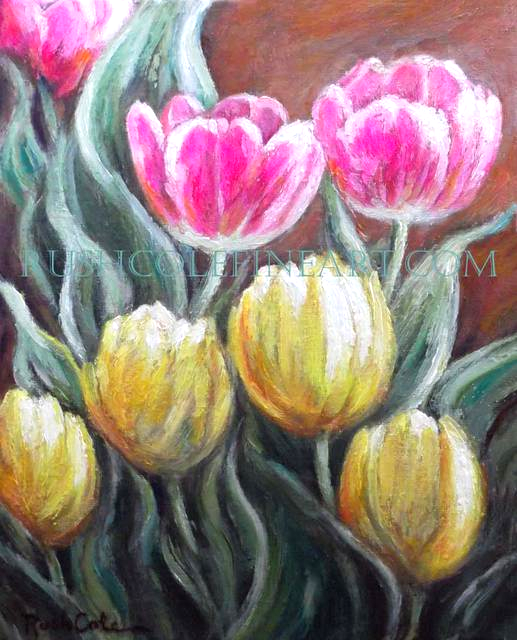 "Because I paint in a variety of styles and use assorted media, not to mention focusing on whatever subject captures my interest at the moment, it's rather difficult sometimes for clients to categorize just what sort of artist I am!" Rush laughs when questioned about the matter. "I usually respond that I'm a "fine" artist with an unquenchable need for total creative freedom. Having designed my own art education, I trained myself in much the same manner as that of classical Italian Renaissance Masters: endless drawing and practicing of all skills until they became second nature. Every time I stopped "thinking" about the mechanics of making the art, I knew I had integrated another ability. Then it was time to raise the bar, again." From belly dancers to bull riders, from cowboys and cowgirls to renaissance kings, queens, faeries and unicorns, Rush brings any and all of her artistic visions to life. Influenced by current interests, passions and travels, Cole sometimes pulls from all of them in her creativity. Historically accurate city portraits spanning many centuries emerge from her belief that all space and time are one. Even when part of a series, each work of art by Rush Cole is a uniquely magical and collectible entity unto itself. Rush Cole's creative images are included in countless private and corporate collections in the United States and abroad. Commissioned in 1982 by the city of Corpus Christi, Texas, she created a mural depicting its history, culture, and environment. Measuring eight feet by twenty feet, acrylic on canvas, the mural covers five hundred years of documented history. 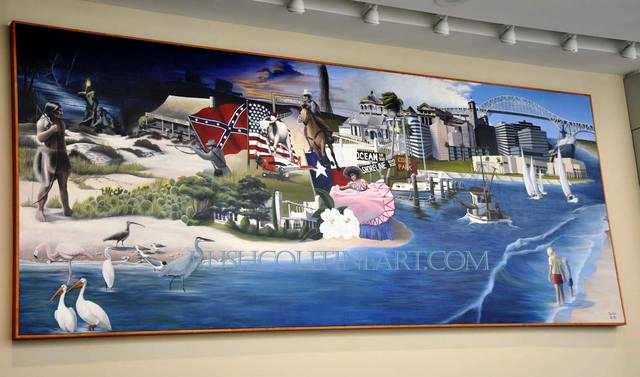 As part of the city's "Public Art Collection", the painting is on permanent display in the American Bank Center, Corpus Christi, Texas. New Mexico's more than 400 years as America's oldest capital city. as the official Rodeo de Santa Fe in both 2014 & 2015. Naturally creative, Rush Cole is also an award-winning writer and photographer. 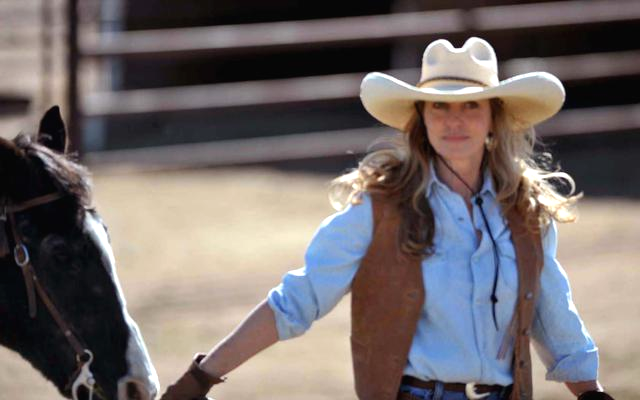 She worked as a regular background actor on the hit Netflix TV LONGMIRE Mystery Series, filmed in northern New Mexico. CORPUS CHRISTI, TEXAS, (Prototype, 24"x 60"
"CORPUS CHRISTI, TEXAS: An Historical Montage"
8' x 20", Acrylic on canvas. Copyright Rush Cole 1983. All rights reserved. Copyright Rush Cole 1992. All rights reserved. "Rush Cole's VIVA SANTA FE!" 48" x 72", Oil on canvas, Gallery-wrapped. Copyright Rush Cole 2009. All rights reserved.